At the other end of the Reflecting Pool is the Lincoln Memorial. Even though I’ve seen it several times, I’m always struck by its majestic simplicity. Even the hordes of school kids who were swarming the Memorial were momentarily muted in Mr. Lincoln’s presence. Our next stop was the adjacent Vietnam Memorial, which commemorates men (and women) of our generation who died in that dreadful war. Sally paused and shed a tear or two at the place on the wall that included the name of Kent Anderson, whom she had known. It was a melancholy experience for me to be here, but I chose not to seek out the names on the wall of guys I knew. I had done that in the past and knew roughly where the names of Don Bruckart and Mark Robinson and Les Sloan had been chiseled into granite — for some reason, I chose to see the memorial in its totality this time, rather than to seek out specific names. After leaving the wall, we took a minute to sit quietly on a nearby bench. As I sat there, I ruminated on all the individuals who had fought in our country’s various wars since 1775. What motivated them to serve? What did they want from life? What did they hope to be when the war was over? Some were fools, no doubt, and some proved to be heroes. Whatever their differences of opinion, many of them literally found common ground in a graveyard. I didn’t dwell on the policies that provoked the wars in the first place; for me, Memorial Day isn’t primarily about politics. It’s about people. Whatever their hopes or fears may have been, these were human beings whose life paths abruptly intersected with the flight paths of bullets or bombs. I’ll be taking some time to remember them this weekend. I hope you will, too. 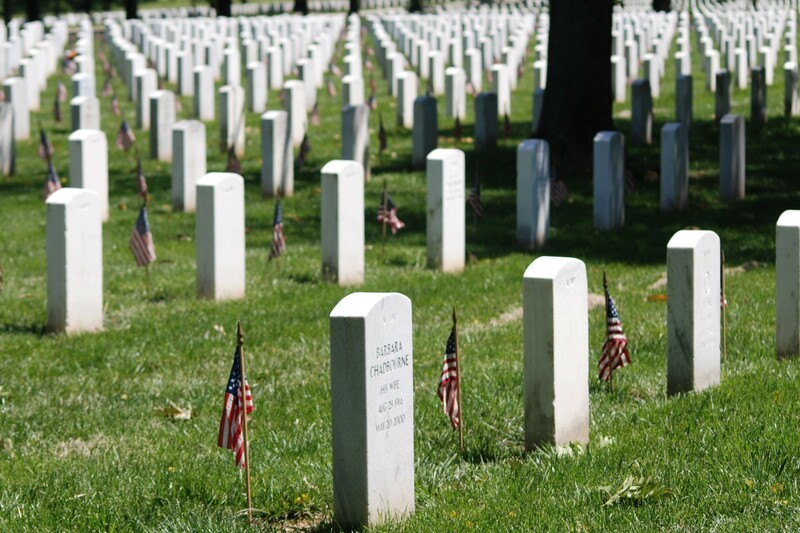 This entry was posted in Holidays, Travel and tagged Memorial Day. Bookmark the permalink.